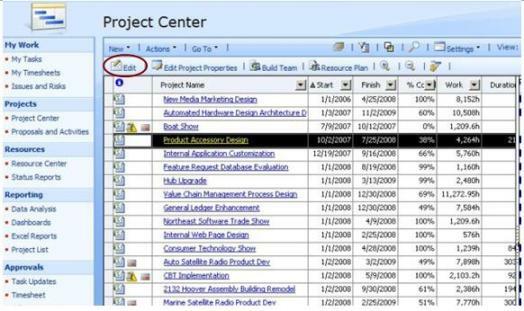 Note: To open project plan, you should have MS Project Professional 2007 installed on your machine and need to have Enterprise Project Server Profile. 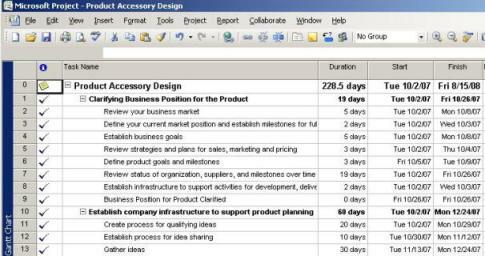 NOTE: You can also use Actions menu to open project plan in Project Professional. 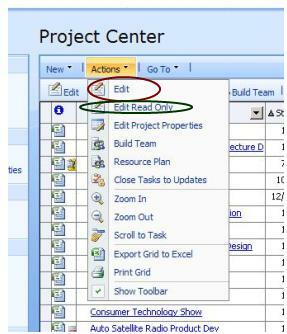 You have to use Actions menu option to choose Edit (RW mode) OR Edit Read Only.